Single half gallon jar complete with lid and band. Half Gallon = 2 quarts which is a little under 2 litres.Suggested uses:Juices, pickles, fermented foods Suitable treatment methods: dry storage, vacuum seal, fermenting, water bath, pressure canEach jar comes complete with 2 part lid consisting of a flat disk incorporating a seal (the lid) and a twist on ring to hold the lid in place for processing (the band).Lids are recommended for single use only if the jar is heat processed using a water bath or pressure canner. Bands can be reused.For preservi..
Ball half pint jars hold 8oz which is just under 250ml (roughly one cup).Suggested uses: chutneys, jams, pickles, small drinking glass, floral displays, candle makingSuitable treatment methods: dry storage, vacuum seal, fermenting, water bath, pressure can, freeze. Ball jars cannot be baked or used in a microwave.Each jar comes complete with 2 part lid consisting of a flat disk incorporating a seal (the lid) and a twist on ring to hold the lid in place for processing (the band).Lids are recommended for single use only if the jar is heat processed using a water bath or pressure ..
Kerr Wide Mouth Half Pint Clear Glass Preserving JarCapacity: Half pint = 8oz = 240ml Size: 80mm high Mouth size: 86mm Wide MouthSuggested uses: chutneys, jams, pickles, small drinking glass, floral displays, candle making. 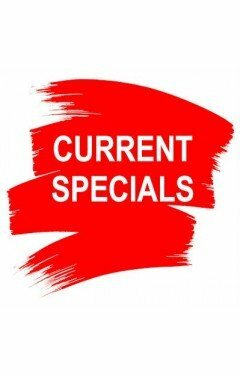 They are also a popular size for pressure canning, particularly fish like tuna.Suitable treatment methods: dry storage, vacuum seal, fermenting, water bath, pressure can, freezeEach jar comes complete with 2 part lid consisting of a flat disk incorporating a seal (the lid) and a twist on ring to hold the lid in place for processing ..
Ball Regular Mouth Pint (440ml) Green Glass Preserving Jar Capacity: Pint = 16oz = 440ml2013 marked the 100th anniversary of the development of a series of jars, designed by the Ball brothers, each intended to be better than the one before. 1913 saw the launch of the first true “Perfect Mason” jar followed in 1914 by the “PERFECTION”.2014 marked the second year of a multi-year limited edition series with the introduction of the Spring Green Jar. 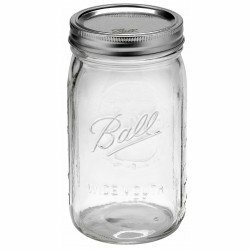 These vintage-inspired green jars maintain all of Ball’s modern standards for quality and reliability.Perfect for all of your home canning..
Ball Collection Elite Brushed Silver Wide Mouth Pint (16-oz/ 450ml) Jars capture your creativity. Perfect for sharing, this jar has a contemporary style that is ideal for creative preserving and storing.Elegant enough to take your fruit dressings, veggie and fruit salsa, luscious pie fillings, and colorful fruit syrups from the kitchen to the table, these uniquely shaped jars hold endless imagination.The Ball brand helps keep your creations fresh and beautiful!They are very popular with candlemakers too.Also available in cases of 16 at a discounted price.Contents:..
Ball pint jars have a 16oz capacity which is just under 500ml. They are a very popular size for all types of preserving and are also widely used as drinking jars.Suitable treatment methods: dry storage, vacuum seal, fermenting, water bath and pressure canning.Each jar comes complete with 2 part lid consisting of a flat disk incorporating a seal (the lid) and a twist on ring to hold the lid in place for processing (the band).Lids are recommended for single use only if the jar is heat processed using a water bath or pressure canner.Bands can be reused.For preserving, we.. 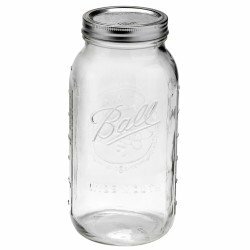 The Ball wide mouth pint jar holds 16oz which is just under 500ml or 2 cups. Size: 120mm highMouth size: 86mm Wide MouthSuggested uses: : chutneys, jams, pickles, drinking glass, floral displays, candle making, fermented foods, glass storage, drinking jars.Suitable treatment methods: dry storage, vacuum seal, fermenting, water bath, pressure can, freezeEach jar comes complete with 2 part lid consisting of a flat disk incorporating a seal (the lid) and a twist on ring to hold the lid in place for processing (the band).Lids are recommended for single use only if th..
Longer vegetables such as asparagus, cucumbers and long beans now have a jar that’s made just for them!This 24oz jar (about 650ml) is an excellent choice for portioning soups and sauces. Perfect when pints are too small and quarts are too big.Fit in standard canning potsUse with recipes that call for quart size jars (if pressure canning process time should be that used for quart jars)Freezer safeHold 3 cups of foodHow to Store:Enjoy Now - refrigerate up to 3 weeksFresh Preserve - store up to 1 yearFreezer safe (be sure to leave adequate headspace for foo..
French Square Dairy Bottles (also known as French Squares) are a space saving and elegant way to present and store a range of products.Traditionally used in dairies for storing milk, these jars can also be used to store dry foods, sauces, body lotions and more.The 32 oz French Squares have gradation markings on one side panel in both mls and ounces.MADE in the USA Capacity 32oz (approximately 950ml) Takes Lid 58mm CT Lid colour may vary according to availability, please contact us if a particular lid colour is required. Height 20.6cm Outside diameter 8.4cm Labe..
Ball Regular Mouth Quart Glass Preserving Jar SingleCapacity: Quart = 32oz = 950ml approx Size: 170mm high Mouth size: 70mm Regular MouthSuggested uses: juices, fermented foods, cocktail shakers, food preserving, glass storage, flower arrangements, candle makingSuitable treatment methods: dry storage, vacuum seal, fermenting, water bath, pressure canEach jar comes complete with 2 part lid consisting of a flat disk incorporating a seal (the lid) and a twist on ring to hold the lid in place for processing (the band).Lids are recommended for s..
Capacity: Quart = 32oz = 950ml approx Size: 165mm high Mouth size: 86mm Wide MouthSuggested uses: juices, fermented foods, cocktail shakers, food preserving, glass storage, flower arrangements, candle makingSuitable treatment methods: dry storage, vacuum seal, fermenting, water bath, pressure canEach jar comes complete with 2 part lid consisting of a flat disk incorporating a seal (the lid) and a twist on ring to hold the lid in place for processing (the band).Lids are recommended for single use only if the jar is heat processed using a water bath or pressure canner.B..
Capacity: 12oz = 340ml approximately Size: 135mm high Mouth size: 70mm Regular MouthSuggested uses: chutneys, jams, pickles, small drinking glass, floral displays, candle makingSuitable treatment methods: dry storage, vacuum seal, fermenting, water bath, pressure can, freeze.Each jar comes complete with 2 part lid consisting of a flat disk incorporating a seal (the lid) and a twist on ring to hold the lid in place for processing (the band).Lids are recommended for single use only if the jar is heat processed using a water bath or pressure canner.Bands can b..
Ball Regular Mouth 4oz Quilted Glass Preserving Jar SingleCapacity: 4oz = 120ml Size: 55mm high Mouth size: 70mm Regular MouthSuggested uses: chutneys, jams, pickles, tealight candle holders, glass storage, baby foodSuitable treatment methods: dry storage, vacuum seal, fermenting, water bath and pressure canningEach jar comes complete with 2 part lid consisting of a flat disk incorporating a seal (the lid) and a twist on ring to hold the lid in place for processing (the band).Lids are recommended for single use only if the jar is heat processed using a water bath or press.. Secure Ball Mason jar bands with confidence! The Sure Tight Band Tool secures jar bands with just the right amount of torque. Getting a good seal starts with securing the band to the correct force. This tool takes the guess work out of securing the band to “fingertip tight. Fits both wide mouth and regular mouth jars Doubles as a lid and band remover (no more battling with knives to prize open the lids!!) Maybe helpful for arthritic hands Dishwasher safe on top rack only..